a. Products that are made in Singapore : can be edible, pre-packed snacks, products from approved factory / central kitchen sources. b. Handicrafts : Hand-sewn, hand-made, manually-fabricated, custom-made products such as handbags, patchwork quilts, dolls, teddy bears, fabric or leather pouches, novelty gifts, unique souvenirs (avoid those sold wholesale by other tourist destinations) fashion accessories, trinklets, jewellery, beads, customisable apparels, batik, upcycled products such as lamps, handcrafted soaps, miniature clay models etc. c. Heritage : Vintage, mint condition items that reflect Singapore's heritage, history and culture such as watches, clocks, stamps, old school phones etc. e. Any other products / services that is aligned to Singapore's history, heritage and culture. f. Vanishing products / trades : e.g old school snacks, old school kampung games etc. All are welcome to book! Local start-ups, home based business, small medium enterprises would be favored. Limited number of booths allocated for pre-love products. Student / SE / SSO booths - please enquire at sales@tgifbazaars.com, we'd like to find out more about what you intend to do at your booth. No F & B booths. 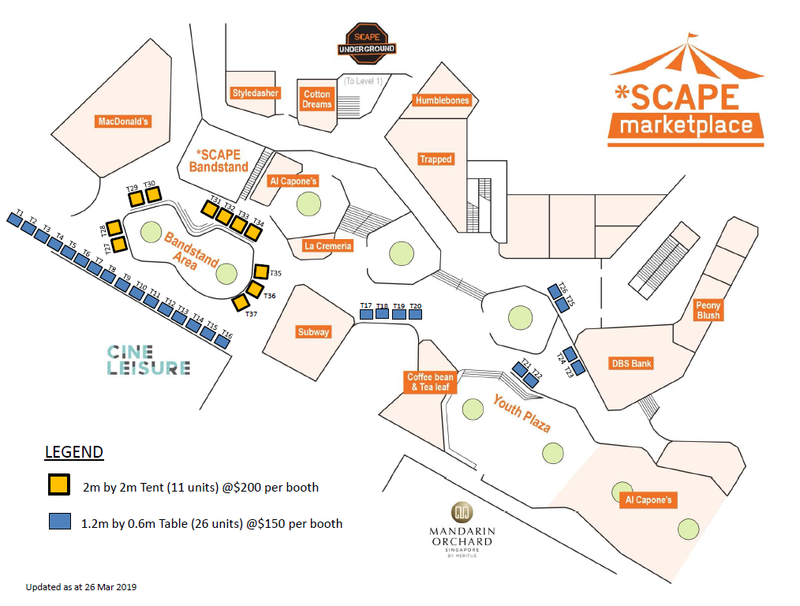 Booths are allocated by Organiser based on the needs of the market. 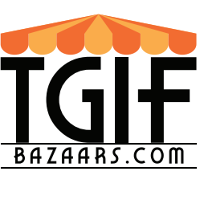 Standard TGIF Bazaars LLP Terms and Conditions apply.